This handsome five-tier tower filled with expertly crafted chocolate and topped with a hand-tied bow is a great way to congratulate an employee or to welcome a new associate to the boardroom. 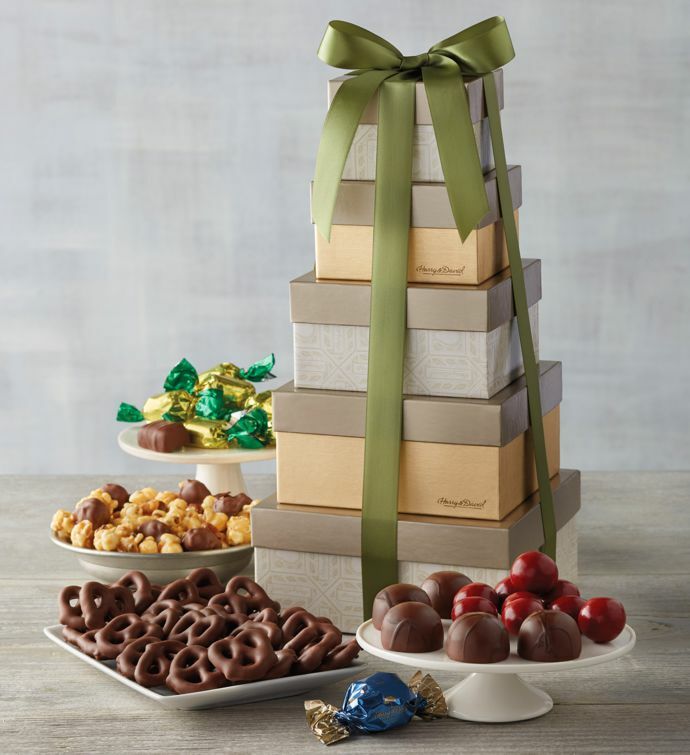 Our signature milk chocolate Moose Munch® Gourmet Popcorn and chocolate-covered cherries from our own candy kitchen make this gift a favorite. Our powerful reputation as experts in gourmet gift-giving makes this gift even more memorable.